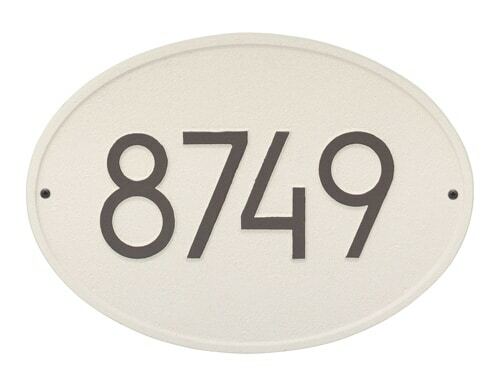 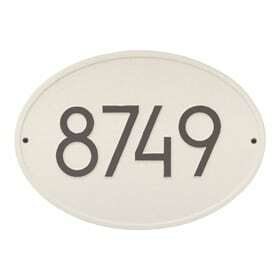 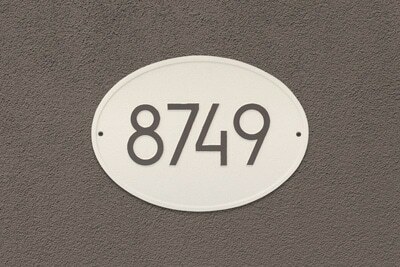 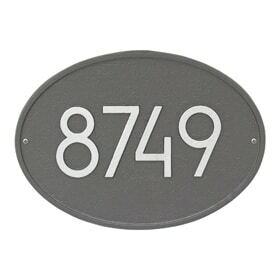 Clearly display your house address numbers with the Whitehall Hawthorne Oval Address Plaque, shown in Coastal Clay. 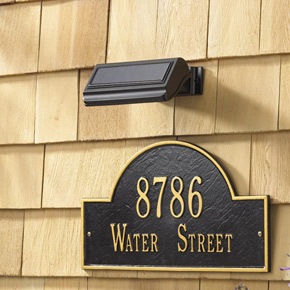 Features Whitehall Manufacturing’s all new Alumi-Shield coating that provides a durable and beautiful finish. 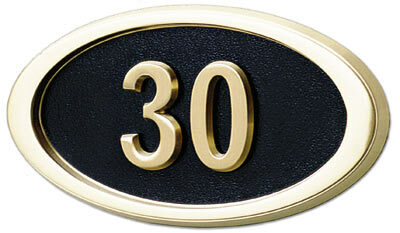 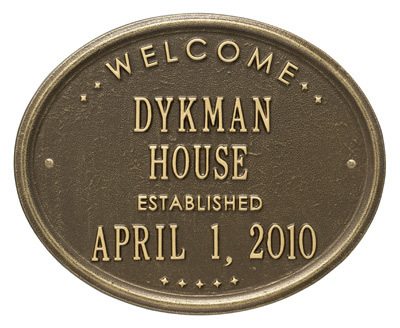 This oval wall address plaque comes with industry leading 5-year warranty. 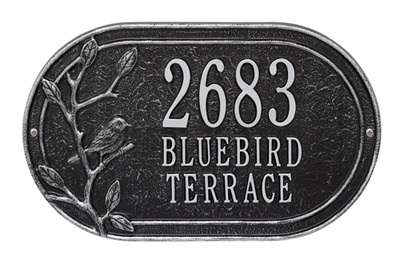 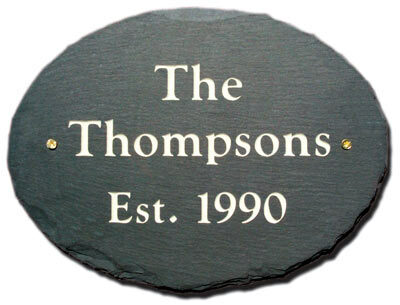 These are elegant cast aluminum wall address plaques that have a heavy-duty powder coat finish and are built to withstand all weather conditions. The Whitehall Oval Address Plaque holds up to four 4″ address numbers. Illuminate your house address plaque with an optional solar lamp, which will automatically turn on at dusk and shine brightly for up to 14 hours. 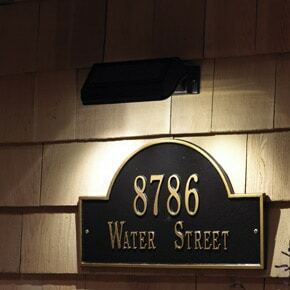 Solar lamp will also automatically turn off at dawn. Address Plaque 10.25" 14.25" 0.325"